In Gelsenkirchen and surroundings, our IHK-certified detectives investigate on behalf of companies, for example in cases concerning industrial espionage, patent infringements, fraudulent sick leave or theft of company data, as well as on behalf of private persons, in cases concerning child custody, alimony and/or child support, stalking, or when a partner is suspected of infidelity. Our detective agency in Gelsenkirchen stands for reliable investigation methods and legal evidence that stands up in court: +49 201 3840 9057. A husband or wife are wondering if the partner is still faithful or maybe having an affair. When it comes to discussions on alimony and/or child support payments, one of the two parties (either the one who is to receive the money or the one who is to pay it) doubts that the other one is saying the truth on their income statements and that the information they give on their circumstances is correct. In a custody case, one parent is not sure if the child or the children is/are in good hands with the other parent. Our experienced private detectives in Gelsenkirchen solve questions like these, as well as many others. Also, our investigations are always executed with a high level of discretion and the results can be used in court. If you wish, you can also talk to a female investigator about your private issues – we know that these cases are often concerned with a highly sensitive topic. Give us a call or make use of our contact form, we will gladly advise you in detail on your respective investigation options. 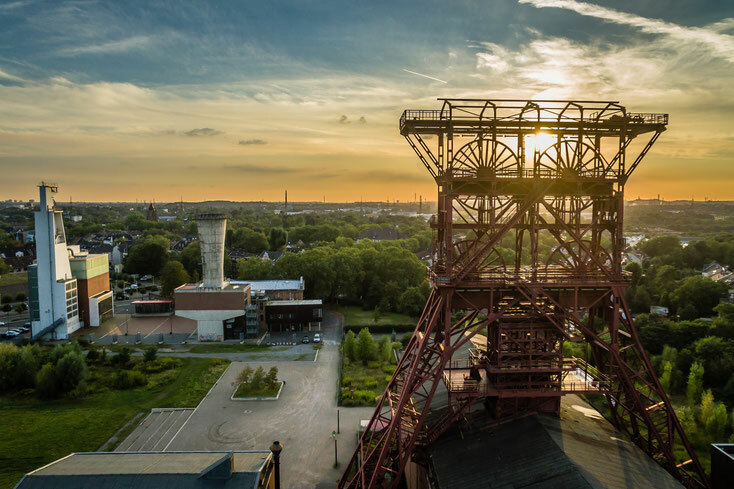 The peak of the mining era may be over and Gelsenkirchen's economy has starkly diversified during the past years but mining will remain a fixed part of Gelsenkirchen's identity in the foreseeable future. 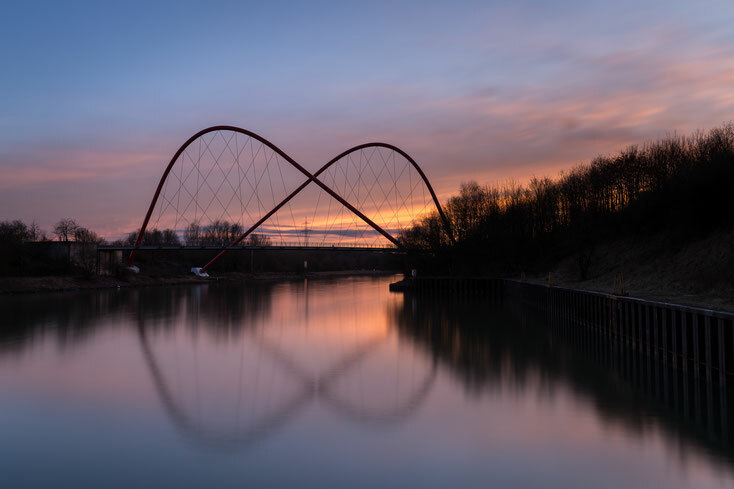 Gelsenkirchen hosts numerous, traditional firms such as Gelsenwasser, Küppersbusch, BP Gelsenkirchen or the Ruhr Oel-Raffinerien, the IT section of Siemens and Müller’s Mühle, but the city also relies on an innovative and a durable economy and science industry. The Wissenschaftspark Rheinelbe, the Fraunhofer Institute for Solar Energy Systems and the Westphalian University of Applied Sciences with its emphasis on economy, informatics, physical technology, electrical engineering, mechanical engineering, utilities technology and environmental engineering, internet security, as well as biological and chemical engineering, show the future-oriented qualities of the city. Local businesses work closely together with local educational institutions and institutes and together they managed the structural changes from a mining settlement to an industrial city very well. Despite these measures, the unemployment rate (11.9 % in 2016) has been lying far above the average in North Rhine-Westphalia (7.7 %) for a while now. It does not happen rarely that progress and academic developments give rise to envy and greed in a competing company. Eavesdropping operations through some type of recording devices installed in a company's facilities, theft of company data and secrets through spyware, bribing employees or break-ins – the competition is always interested in your sensitive data, in production and construction plans, as well as in customer and supplier information. In 2015, 26,428 offences were registered in Gelsenkirchen which is the second highest number within the last ten years. side jobs that were not agreed on (potentially even for a competitor). Our qualified corporate detectives in Gelsenkirchen support you with their expertise in these cases, and many more. We investigate the circumstances and offenders, we monitor suspected persons and provide you with legal evidence at the end of our operation. Our IHK-certified private investigators in Gelsenkirchen will gladly advise you in a non-binding call: +49 201 3840 9057. *Please note: All operations of Kurtz Investigations Essen are executed and billed from the Steeler Straße in Essen. The other operating cities and regions advertised on this domain are neither local branches nor permanent establishments of the Kurtz Detective Agency, if not explicitly stated differently. We can offer you affordable traveling expense flat-rates nationwide. The same applies for traveling to a wide range of areas abroad. When operating in the countryside, the cost evaluation starts from the next greater city. You can find further information on our fees here, and on our operating areas here.